Foaled in 1963, Buckpasser not only made his name as an outstanding racehorse, but has left a substantial influence as a broodmare sire – in KZN particularly with the likes of Northern Guest. Buckpasser was leading broodmare sire in 1983, 1984 and 1989. He has had a profound influence on some the world’s leading stallions, being the broodmare-sire of dams Weekend Surprise and Razyana, the dams of the great A.P. Indy and Danehill. 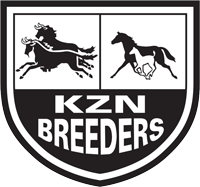 This can be seen in the stallions standing in KZN, with the majority of them being by these two great stallions. They include A.P. Arrow, A.P. Answer, Admire Main, Just As Well and Mon Sang. From Danehill we have Newton, Overlord, Requiem, Rocky Street, Solksjaer, Spanish Harlem, Way West and other descendants such as Atso, Miesque’s Approval, The Sheik, Visionaire and Woodborough. 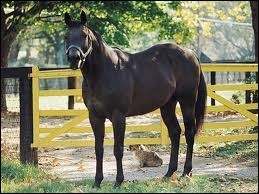 Danehill was a dual hemisphere champion stallion, and A.P. Indy continues to grow in stature, recently having 10 of his progeny or descendants competing in the Kentucky Derby. Buckpasser was a bay colt that was bred and owned by Ogden Phipps and foaled at Claiborne Farm in Kentucky, he was by the Horse of the Year winner Tom Fool and his dam was the stakes-winning mare Busanda, by the Triple Crown winner War Admiral. 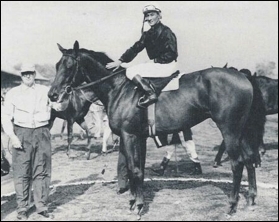 Busanda’s second dam was the Blue Hen broodmare La Troienne (FR). 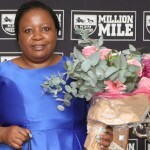 August Belmont and other bloodstock growers had expressed a preference for refined little mares of the most effeminate sort as prospective broodmares, but Busanda marked an exception to the rule. Busanda in training was above 16 hands, rather masculine in appearance and totally unlike her round little sire War Admiral. War Admiral, famous for his competitiveness with Sea Biscuit, was out of a typically small, rotund Sweep mare called Brushup. Racing official Dr. Manual Gilman said of him, “I would defy anybody to pick a flaw in Buckpasser.” Renowned horse painter Richard Stone Reeves said, “Buckpasser was the most perfectly proportioned Thoroughbred I have ever seen.” Only two horses, Secretariat and Affirmed, have since been “in a class with Buckpasser”. A racing journalist at the time described Buckpasser during his racing career: “Physically, Buckpasser is an improvement over either his heavily quartered and rather short coupled sire or his tall and angular dam. He is, in appearance, a classical specimen of the sort one used to see in the Hamptons, on the order of Persimmon, Bay Ronald and Son-in-Law. This is to say he is cast in a tall and elegant mould. “At the outset of his three-year-old season, Buckpasser was unfurnished and from a distance looked like a filly. It speaks for his constitution and handling that he thrived during his arduous campaign so that he stripped for the Woodward resembling a four-year-old, having thickened and spread out across the hips, while his running gear and the delineation about the head and neck had fined down admirably. Buckpasser had two trainers, both since elected to the U.S. Racing Hall of Fame. Bill Winfrey began his training, and when he retired, Eddie Neloy took over and prepared Buckpasser for his three-year-old season. Buckpasser was infinitely the most horse seen during the season of 1966. He swept all before him with fine, dust-spurning disdain for age, distance and tracks. One suspects he would have “done” in any four out of five other seasons, and we can recall a good many since any other was esteemed as highly as Buckpasser is in the present day. Buckpasser’s first race start was on May 13, 1965, in which he ran a poor fourth. It was the only time he was ever unplaced. Buckpasser’s record was so impressive, when he ran in the Flamingo Stakes, the race was declared a non-wagering event, forever after called the “Chicken” Flamingo. After a brilliant two-year-old season and spring, he was placed at the top of the Experimental Free Handicap with 126 pounds. Buckpasser developed a quarter crack that kept him out of the 1966 Kentucky Derby, as well as the Preakness Stakes and the Belmont Stakes. It was almost three months before the crack healed. He conditioned most racing men to think he certainly would have inscribed his name alongside those of Sir Barton, Gallant Fox, Omaha, War Admiral, Whirlaway, Count Fleet, Assault and Citation could he have started. He won nine of his eleven race starts for international record winnings for a two-year-old of $586,090. In Chicago’s Arlington Classic, Kauai King ran against the strenuous protests of his trainer. He broke down and was retired, while Buckpasser won the race, setting a new world record for a mile with a time of 1:32 3/5. This record stood for two years until Dr. Fager broke it in 1968, running 1:32 1/5. 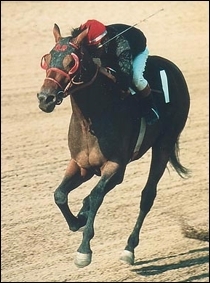 In 1989, Buckpasser’s grandson, Hall of Fame Champion Easy Goer, ran a mile in 1:32 2/5. Buckpasser won 15 consecutive races that included the American Derby (breaking the track record), the Chicago Stakes, the Brooklyn Derby, the Woodward Stakes, the Travers Stakes, the Malibu Stakes, the Brooklyn Handicap, the Lawrence Realization Stakes, and the two-mile-long Jockey Club Gold Cup. With 13 victories as a three-year-old, Buckpasser became the first horse to earn more than $1 million before the age of four. He was named the 1966 American Horse of the Year. He beat the best aged horses who could be put against him in the Brooklyn Handicap, the Jockey Club Gold Cup, and Woodward Stakes. His four-year-old season commenced with a win in the San Fernando Stakes. Another quarter crack developed in Buckpasser’s off (right) fore hoof, and he did not race for 4½ months. 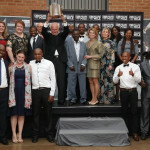 When he returned, he scored his fifteenth consecutive victory in the Metropolitan Mile. On June 17, 1967, Buckpasser’s winning streak ended with his first and only attempt at racing on grass. He finished a surprising third to stablemate Poker in the Bowling Green Handicap at Aqueduct Racetrack. Assagai, the 1966 turf-course champion, finished second. As The Blood-Horse magazine said in their July 24, 1967 issue: “Never had so many people had so many immunization shots in order to stay home and watch the Suburban Handicap on Independence Day.” There were three reasons advanced for his defeat: turf, shoes, and weight. Buckpasser also ran that day with his head held in an uncommon way, slightly sideways. No one has ever understood why. His jockey Braulio Baeza had declared that if Buckpasser will guarantee to try, he can guarantee his mount could beat any horse he can see. There seemed to be some rapport between horse and rider, considering Buckpasser’s record for regularity. Trainer Eddie Neloy didn’t usually consult with any riders regarding his prerogative of starting a horse, but he is glad to have Baeza’s suggestions in the instance of Buckpasser. The dismal work Ogden Phipps’ homebred turned in at Rockingham Park for Baeza just before the New Hampshire Sweepstakes Classic last summer, was largely based on Baeza’s sound advice. Neloy reneged and did not start Buckpasser. His race record totalled 31 starts, 25 wins and 5 places with a total of $1,462,014 earned, a large amount of money in those years. When he retired, Buckpasser was syndicated for $4,800,000: a record $150,000 a share. He stood at stud at the farm where he was born. In eleven years, he sired 313 foals, of which 35 won stakes races. Amongst his progeny were La Prevoyante (Sovereign Award for Horse of the Year in Canada, Eclipse Award Champion 2yo Filly in the United States, Champion Older Female in Canada), the great Numbered Account, (Champion 2 year old Filly, dam of Private Account, sire of undefeated Personal Ensign) and Silver Buck (Whitney Handicap, Suburban Handicap, sire of Kentucky Derby winner Silver Charm) and Toll Booth (Broodmare of the Year). Even though he had three tail-male Kentucky Derby (Gr 1) winners (Spend a Buck-1985, Lil E. Tee-1992 and Silver Charm-1997), his record as a dam-sire stands out. 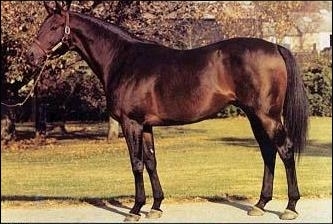 Buckpasser was a leading broodmare sire in 1983, 1984, and 1989. His daughters have produced Champions and Classic Winners: They are led by Hall of Famers Easy Goer and Slew o’ Gold, Belmont Stakes winners Coastal and Touch Gold, and With Approval (Miesque’s Approval’s dam-sire), as well as El Gran Senor amongst a number of other influential stallions such as Seeking The Gold, Miswaki and Woodman (sire of Woodborough). 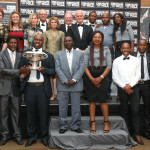 One of his biggest influences in South Africa, besides just KZN, was as Northern Guest’s dam-sire. Besides being a top stallion who stood his career at champion breeders Summerhill Stud, Northern Guest has proved himself as a formidable broodmare sire. In the Blood-Horse magazine ranking of the top 100 U.S. Thoroughbred champions of the 20th Century, Buckpasser is #14. Buckpasser died in 1978 at age 15 and is buried at Claiborne Farm.